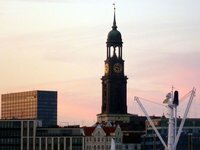 Are Hamburg through your popular events and celebrations, the countless cooking classes, the historical premises and of course by the refined delights again is now more than three years the star kitchen carefully. We are a special event - and Mietlocation, which plans to individual events for your customers. Just with that "special something". We offer: Beamer, screen, WIFI, printer, scanner, fax, musical connections in all rooms. Romantic courtyard with barbecue facilities. Great out there suitable for celebrations.